Dear readers: The following article is a sponsored guest post written about a place I’ve traveled and loved — the Balearic Islands. Since you know I have this terrible habit of quitting my “real” jobs, this post is an example of a way I might try to monetize this blog without introducing a bunch of pop-up videos and floating ads and all of that. I don’t know if this will become a common sight around here, but when I do have sponsored guest posts, I will always let you know that’s what it is in the title. Also, I will do my best to make sure they’re interesting and informative, and I think this one definitely fits the bill. 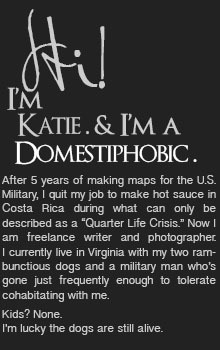 Click “read more” below the photo to read the article. If you haven’t been to the Balearic Islands, you should add them to your list. I’d go back in a heartbeat! Located off the coast of Spain in the Mediterranean Sea, the Balearic islands are one of the country’s most visited destinations. Formentera attracts those who want to enjoy nature, Ibiza is a spot for those looking for a party, and Majorca is known for its cities and beaches. Majorca is the largest island in the archipelago. The main city is Palma de Mallorca, its bustling streets filled with chic seaside bars, restaurants and boutique stores. Yachting competitions are organized in the port. This harbour city’s main attractions are located in the Old Quarter. In the center of the city is the Seu, the city’s main cathedral which was built on the ruins of a mosque. This cathedral was built of sandstone and is 121 meters high, and near the entrance is an impressive stained glass window made from more than 1200 pieces of stained glass. The columns are decorated with iron candelabras designed by Gaudi, and there is a large mural of the last supper by Sagera. Inside this cathedral there is a small museum. The Bellver Castle is a round building with round and lancet arches. Tours are organized around this castle. Alcúdia is a port town located in the north of the island. The town has a curving bay where visitors can lounge in the white sands. In the town’s old quarter there are several ancient medieval walls and the ruins of the Roman city of Pollentia. Coves del Drac are a set of caves located on the islands. Visitors can enjoy guided tours around these caves, which are known for the many stalactites and stalagmites, each one of them named after objects they resemble. There is an underground lake where visitors can enjoy a boat ride while listening to the musicians who play in the caves. Located just off the coast of Mallorca, Menorca is the second largest island of the archipelago. Known for its natural beaches and natural parks, this island was declared a Biosphere Reserve and is visited by those who seek a quieter holiday. Menorca is full of history. The town of Ciutadella has a large castle, the Castell de Sant Nicolau. On the islands there are many prehistoric ruins. There are ruins from the cave era, the Bronze Age and the Iron Age, and many ancient building dating from when the Phoenicians ruled this island. There are many tailaiots on the island, ancient structures that used to be defence and watchtowers. Near Alaior visitors will find the Torre d’en Galmes tower. There are several ruins of city walls around the island, including those of Alfurinet, Biniaret and Torre Llafuda. Port Mahon is a harbour city. La Mola is the city’s fortress, which used to protect the city from invading fleets. The remains of San Felipe Castle are located next to the fortress. Another historic landmark is Fort Marlborough, built by the British. The Party Island is one of the most popular destinations in the region. Clubs including Amnesia, Pacha and Space are located on this island. The party lasts from dusk until dawn, and there are bars, clubs and discos for every musical taste. Ibiza Town is the largest city on the island, with narrow cobbled streets, white houses and ancient churches. The Old Quarter is enclosed by thick mural walls and is the place where the Gothic cathedral and several museums are located. Ibiza is not only about the nightlife and the parties. There are many national parks and ruins. Those who want to enjoy a quiet beach can take a trip to one of the many natural coves peppered along the coast. The city’s largest beaches are Es Caballet and Las Salinas, ancient salt pans dating from when the Carthaginians ruled the islands that are now shimmering lakes. This island is known for its scenic landscapes. It is a place to relax while enjoying views towards the sea and water activities. Ses Salines is one of the island’s natural parks, located between the north of this island and Ibiza. Most of the natural park is in the sea, where one of the largest Posidonia oceanica underwater plants is located. 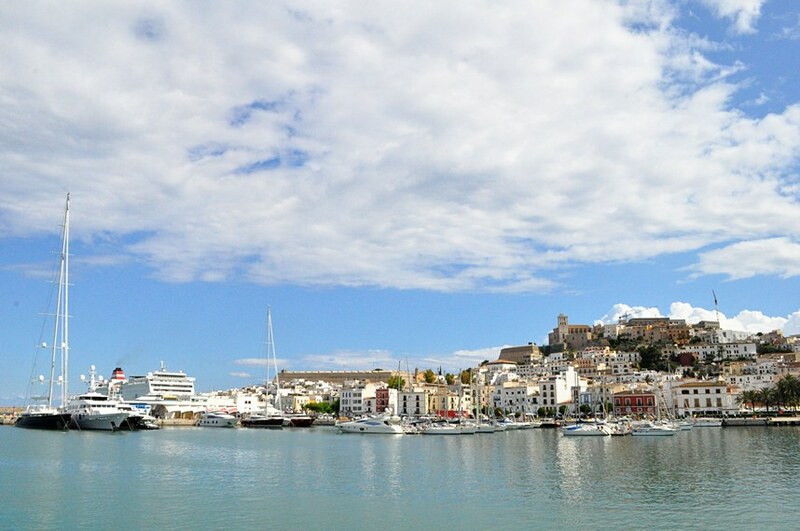 In order to reach this island visitors have to travel bu ferry from Ibiza Town. There are several unspoilt beaches on the island, including a couple of nudist beaches. The most popular beaches are Es Pujols, Cala Saona and Mitjorn. On a mountain trail in Costa Rica I met a guy named Alex – he asked us a question in Spanish, and we answered in the same, because it was fashionable amongst gringos to speak the local language, even if no native speakers were around. He looked Caucasian enough, all dirty blond hair and kind eyes, and it wasn’t until the next day – as six people from at least four countries piled into a two-seat truck to search for a lost friend – that we found he was from Menorca. I had no idea where it was, and didn’t ask. He seemed content to never return to his home, to stay on the road forever – but that’s the draw, isn’t it? To find the places no one else wants to be, and to find something magical there. I would gladly visit. “On a mountain trail in Costa Rica…” <--- love the obscurity. :) I didn't get a chance to see Menorca while we were in the islands -- just Ibiza and Formentera. I would love to go back to see them all and explore some more. Isn't it funny to think that one person's mundane "home" is another person's adventure? By the way, I'm so happy to see you're still around! I thought maybe I lost you when I switched to self-hosting. Sounds like I have to add this to my always-evolving list of places to visit. Ibiza? Absolutely energetic and beautiful. Ruined me for paella forever (it was so good I can never order it anywhere ever again). Formentera? PERFECT respite. Stunning. We got around on bicycles and cooked and seriously just sat and contemplated the beauty of the world. One of my favorite places ever.